All of the first grade classrooms have been very busy becoming expert researchers. Each student in Mrs. Rutan's class was required to research a wild animal using a non-fiction book from the library. The students had to find information about their animal's appearance, habitat, diet, and one interesting fact. They also had to create their own "I wonder" sentence about their animal and find the answer.They wrote important facts about their animals and drew pictures in class. 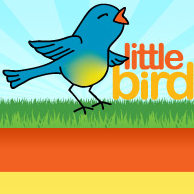 Once the research was complete each class made a digital storybook using Little Bird Tales. They worked so hard and did an amazing job. Just click on the link below to view all of the students animal research books.